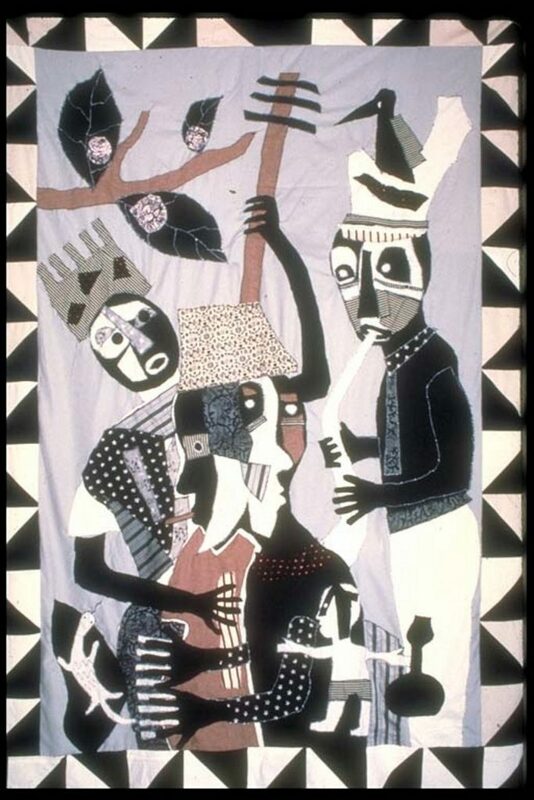 The Mayor’s Office of Cultural Affairs is pleased to present the exhibition of “The African Jazz Quilts of Michael A. Cummings” at Gallery 72 to celebrate Jazz Appreciation Month. The exhibition opens to the public on Thursday, April 18 and runs until Thursday, June 6, 2019. An opening reception for the installation will be hosted at Gallery 72 on Thursday, April 18, starting at 6 p.m. The exhibition coincides with 42nd Annual Atlanta Jazz Festival hosted in Piedmont Park, Memorial Day Weekend, May 25 and 26. Michael A. Cummings, a native of Los Angeles, is a world-renowned quilt maker. Cummings uses reclaimed fabric to create new art and narratives that evoke engagement from its viewers. He has had solo exhibitions with Bates College in Maine, Hallmark Cards, New York City’s Cinque Gallery and Studio Museum in Harlem, among others. Concerning the quilts of Mr. Cummings, Michael James, Professor of Textiles, Merchandising and Fashion Design at the University of Nebraska at Lincoln says “Michael Cummings has been working with the quilt form since the early 1980s. Cummings has successfully synthesized aesthetic qualities found in folk art, in African and African American art, in music (specifically, jazz), and in diverse textile and non-textile narrative traditions, to arrive at a unique and sincere expression… He’s committed to telling the stories of African-Americans across a broad historical, social, cultural, philosophical, and mythological spectrum”. Please join the City of Atlanta in celebrating this unique and talented artist. Gallery hours are Monday through Friday from 10 am to 5 pm. For more information, please contact the gallery curator, Kevin Sipp, for more information at 404-546-3220 or [email protected]. Opening Reception: Thursday, April 18th 2019 at Gallery 72, from 6 pm to 9 pm. Gallery 72 at 2 City Plaza, is a municipal gallery operated by the Mayor’s Office of Cultural Affairs dedicated to presenting stimulating and thought provoking contemporary art and programs that focus on advancing Atlanta’s arts offering. Gallery 72 is located at 72 Marietta Street NW Atlanta Ga. 30303 and is open Monday through Friday from 10:00 am until 5:00 pm. 104 Marietta Street Parking Garage (176 feet NW), 79 Marietta Street Parking Garage (245 feet NE) Centennial Tower Parking Garage (332 feet NE), Paid street parking is available near the gallery. NEARBY MARTA RAIL STATIONS: Take the Gold line to Five Points Station. Exit the station on the Forsyth street side and turn right, walk northeast on Forsyth Street, and turn left on Marietta Street. Walk one block to Fairlie Street. After crossing Fairlie Street the gallery will be on the left.